I know it has been forever since I have posted anything, but life takes hold and you can do anything about it. I have finally created a couple new products, both are commercial use for commercial use. Six different worn, torn, stain and folded styles. Use to create items for kits or to make your own commercial use items. Tested in PS CS3/4. 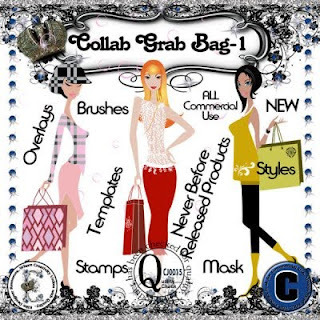 The designers at Elite Design Resources have created a great CU collab. Only a few days to get it for just $5, don't miss out on an awesome deal. Check it out here! Check out the dollar sale every Friday during July. Lots of my stuff is set to $1! Even CU items. Check out my store here.